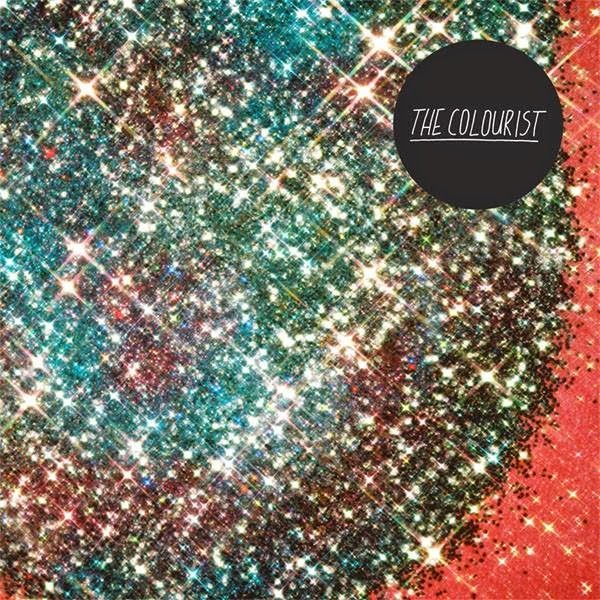 Rock Review Phil: The Colourist "The Colourist"
I guess it’s kind of obvious, but when I review an album that I bought myself, not one that I was given for review, it is because it’s an album that I like and therefore the review will nine times out of ten be a positive review. I don’t have the money to just go out and buy random albums for the sake of reviewing them, though I really wish I did. I did this recently with my review of Ume. I have to admit that this album, The Colourist; the self-titled debut album by the California four-piece indie pop rock band, is one of those albums. I came across it on the day of its release, listening to samples of the songs and I really felt it was something that I could get in to. Luckily I was right. The Colourist, made up of guitarist/vocalist Adam Castilla, Guitarist/bassist Kollin Johanssen, bassist/keyboardist Justin Wagner and drummer/vocalist Maya Tuttle is pretty standard when compared to other indie pop rock bands of today, but they do have a certain character that I feel stands out above the rest. It is the unique vocal duo of Adam and Maya that really made their music jump out at me over other newer bands that I hadn’t previously heard of. The first track and first single, Little Games admittedly took a few listens to truly appreciate. At first I considered it the only dud of the album. Ultimately it has what makes all of the other songs special; it’s upbeat in every possible way, with exceptional melodies and good vocals, it just felt like the band was trying too hard to write a radio hit. However, as mentioned, after a few listens of the album, I have grown to like the song much more than upon first listen. Rest assured I’m pretty sure this is all merely just personal opinion. I believe other listeners are sure to love the song. As the album continues with songs such as Wishing Wells, We Won’t Go Home, Yes Yes and the youthful anthem Tonight (Young Hearts) the band shows their song writing capabilities better than I believe are shown in the opening track. The upbeat nature of the songs mixed with the perfect blending of keyboards and guitars do an exceptional job at making The Colourist potentially standout over other indie bands. All four of these songs practically make The Colourist worth the purchase. Even if the rest of the album were to have been a disappointment, which isn’t the case, I’d have still not regretted getting the album thanks to those four specific tracks. Really the only non-upbeat song on the album is the mostly acoustic Stray Away. The song is the closest The Colourist get to having a ballad on the album. Though the song wouldn’t be the same without Adam’s lead vocals, it is Maya’s vocal harmonies that make the song special, giving it an almost tropical feeling without making the song lose its indie rock credibility, which I find completely unique. Maya doesn’t have many songs where she is the lead singer. Though there is a lot of call and answer vocals on a lot of the songs, and a hell of a lot of harmonizing between the two vocalists, ultimately Adam (for the most part) gets more vocal time in most songs. However Maya really makes the most of the few songs (What Can I Say and Fix This) which feature her as the dominant singer. In fact, her voice fits the upbeat nature of The Colourist’s songs better than Adam’s voice does. At least, she makes it seem that way when she gets the microphone. Perhaps ironically, the song Oh Goodbye is not the closing song to the album, despite its title. I find a few bands do that with their albums, especially as of late. I guess it was an overdone cliché at one point, to have the last song of the album have a title like “Goodbye” (which Paul Stanley did on his first solo album) or “The End” (which The Doors did for their debut). Instead, The Colourist made Oh Goodbye the second last song on the album, leaving Put The Fire Out stand as the song with the important task of ending the album, and it does a good job at that. Though many of the songs on the album are what I’d call anthems, the chorus for Put The Fire Out is the chorus that I have the easiest time potentially hearing a whole crowd of people singing during a live performance. The best thing about The Colourist, both the album and the band, is their (as I've previously called them) youthful anthems, even though the band isn’t exactly made up of kids; but I only find that more impressive. They remind me of the innocence of being young. I mean I'm not exactly old (most people consider mid-20s to still be young) but they have this good feeling about them that makes for a good change from the dark and angry stuff I can sometimes get too caught up with. One thing that isn’t hidden is their ability to write great music for purposes beyond trying to get a hit on the radio. It really is a talent to be able to write catchy riffs and melodies and still pass as credible song writers. I feel The Colourist is the feel good album of the year so far, and they do it without needing outside songwriters and over-computerized backing tracks like today’s lamestream (I mean mainstream, why do I keep doing that?) pop acts. “We Won’t Go Home” –­ Yes this is my favourite song off of the album but no that’s not why I’m proclaiming it to be the highlight. Sure it’s just as upbeat as most of the songs on the album, and the guitar tone and harmonies sound just as great as just about anything off of the album, but I feel the song hooks its listeners in a different way than the other songs on the album; it’s the call and answer vocals of the pre-chorus that shows like no other song on the album exactly how well Adam Castilla and Maya Tuttle can play off of each others vocals.